We see A4 sedans in the mix as well. Our spy teams in the north have been working overtime not just with photos, but video as well. 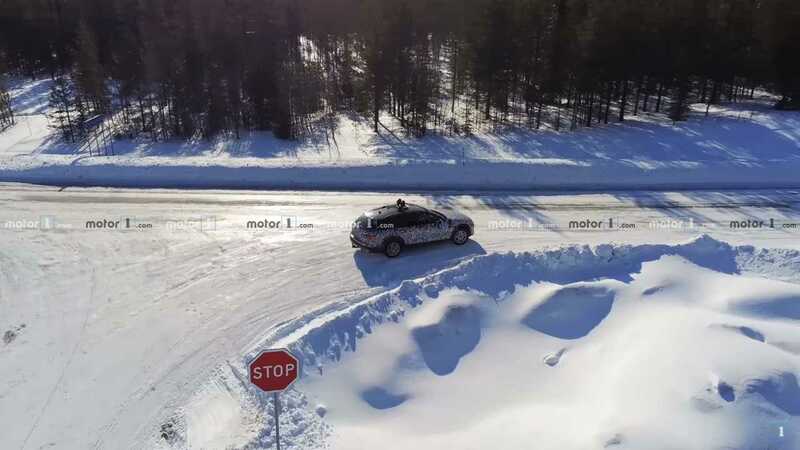 With warmer weather finally creeping into the northern latitudes the winter testing phase is winding down, so automakers are working hard to get as much cold-weather data as possible. The short clip above provides us an interesting look at the next Audi A4 Avant in action, complete with close-ups and even some high-flying drone footage at the end of the video. There are also a few sedan sightings to enjoy. From a visual standpoint, the video doesn’t offer us much we don’t already know. The A4 gained a very minor facelift just last year, but clearly, Audi has a bit more in store for the next model. The shape will be familiar, but resculptured body panels exist beneath the camo wrap, including new touches for the doors, fenders, and quarter panels. The front fascia will house a new grille that’s shorter and wider, with revised headlights up top and minor revisions to the corner vents as well. Updates to the rear aren’t as obvious, though minor tweaks to the lower rear fascia and taillights are expected. Larger changes are said to come inside the new wagon, though we’ve yet to get a good look. Our sources point to a freshened design to the instrument cluster and infotainment system, the latter of which will likely get a larger screen and Audi’s latest tech. It’s possible some of the elements will be shared – or at least based on – the larger A6. We aren’t expecting anything drastic to happen under the hood, save for performance tweaks to meet evolving emissions regulations and perhaps a slight bump in power. The big question we’re working on solving right now is whether this will be a 2020 or a 2021 model. Given the recent A4's admittedly tiny facelift it’s unlikely we’ll see this resculptured model anytime soon. It could be revealed late in 2019 as a 2020 model, but if production vehicles aren’t on sale until well into 2020, this would actually be a 2021 model.